You’ll shake, rattle and roll on Elvis’ favorite wooden roller coaster! 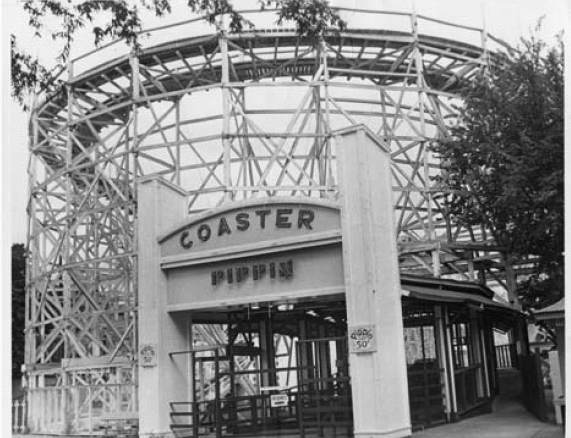 The Zippin Pippin was built in 1912 but was moved to its location in the park in 1923. Feb 7, 2010 - The end has come to Libertyland of Memphis. It's been bulldozed to the ground. 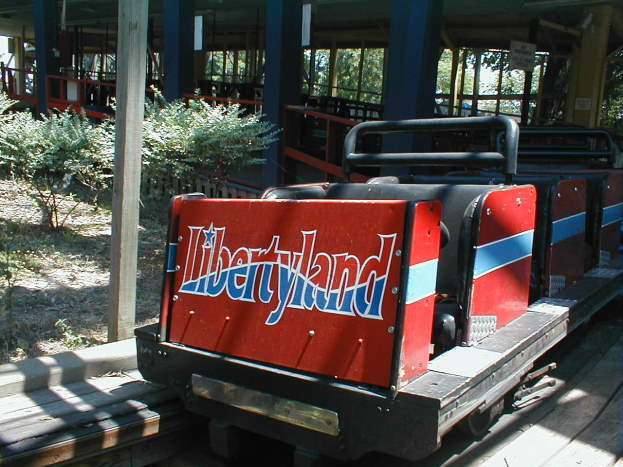 Libertyland was not that old in historical terms. 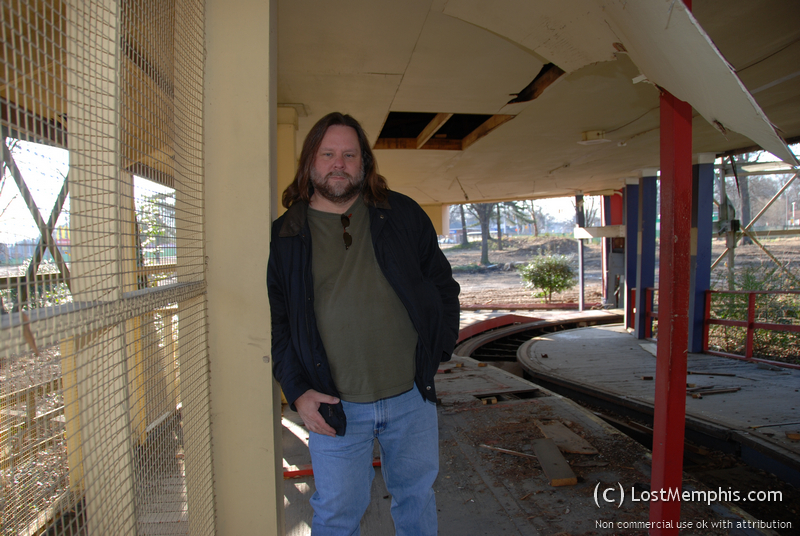 Many will remember when it was built, there was an outcry from preservationists about maintaining the old park attractions that had been there for years; rides like The Old Mill, which had a terrible reputation for housing snakes in its murky waters. But it was all cleared away then as it has been now. With one exception: The Pippin - or the Zippin Pippin as it came to be known later. 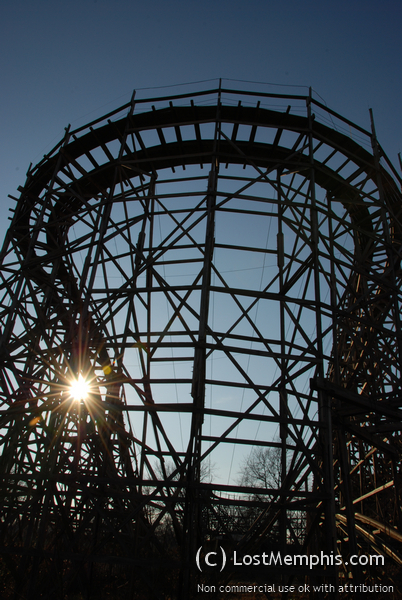 This wooden roller coaster, second oldest in the US, survived the coming of Libertyland and was featured among the new rides. Built in 1917, the Pippin was even then an old ride, but still a good ride and one that generations of families had shared over the years. 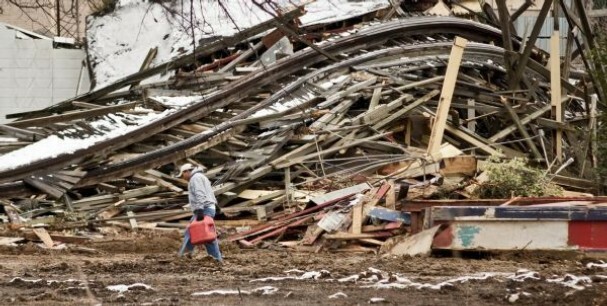 This time, Elvis's favorite coaster did not survive the demolition. We've been told it was being dismantled to be shipped to another state with more appreciation for gifts of enjoyment left for us by those that came before. It's hard to believe that is the truth based on the following pictures but time will tell. In any event, this one of a kind, Memphis treasure is lost to Memphians forever. We've seen this pattern before - The famous "Memphis Belle" WWII bomber slipped away from Memphis back to the Air Force who saw the city wasn't properly respecting this treasure. So we weren't surprised to see the Pippin go - but many are heartsick to see it go. 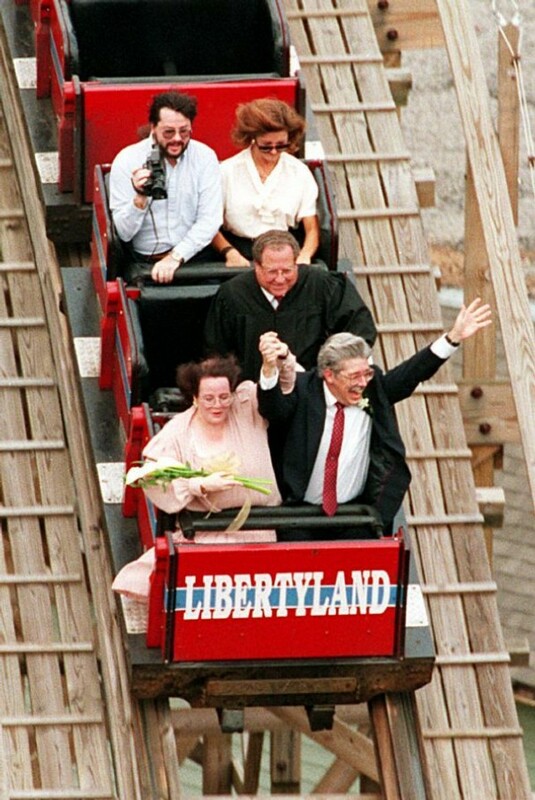 Like many Memphians, I grew up riding the Zippin Pippin during the Mid-South Fair, and later off and on at local theme park Libertyland. Many a school outing, party and date were spent at the small theme park. I rode the Pippin, perhaps for the last time - just last year (2005). 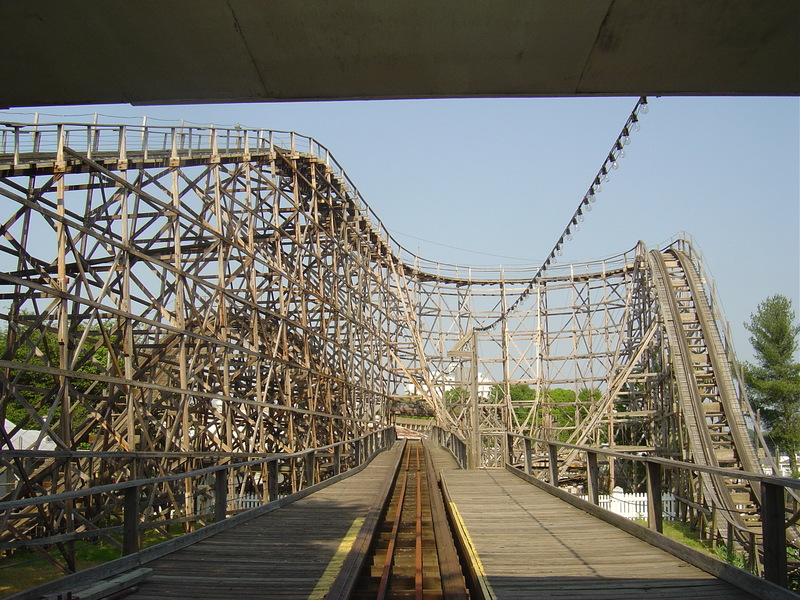 The same Pippin built in 1920, the largest wooden coaster in America. The same one that Elvis rode for hours on end just a week before his untimely death. I myself rode the Pippin 43 times in a row one summer, when friends and I happened to be at the park on a very slow day. We'd just wave out hand in a circle, indicating "again!" as we approached the operator. With no one waiting in line, there was no reason to stop. We rode and rode, until a slight rain started to fall. We didn't care but the operator did. The brakes on the Pippin didn't work well when wet and we roared through the station building at near full speed and climbed fully halfway up the first hill before he could stop the cars. The staff had to climb up the track and release our seat locks so we could climb out of the reclined cars (not easy on a hill) and carefully walk back down the slippery track, never to achieve our hoped for 50 nonstop loops. Last year, MLGW rented the park one evening for an employee appreciation picnic, and I was invited as a guest. As an older 45 year old, my Zippin Pippin ride was the first with my 6 year old daughter, who delighted in it's fearsome wooden roar. The ride elicited a laugh from me as it always did when it took my breath away screaming down the first downward plunge. It also startled me in that it seemed very, very fast - much more so than I remembered. And it was rough....I felt I had to hang on for the first time. I attributed the differences in perception to fatherhood paranoia and we went on to enjoy the rest of the park. Looking back, I wonder if I was witnessing the Pippins last hurrah. It's been sold now, a landmark piece of Memphis heritage that it literally gave away - for $2400. Cars and all. That sale of the Pippin for $2400 required that it removed from city property in 30 days. The buyer had come to buy the car Elvis always rode in but ended up with the entire coaster since the price was so cheap. This whole site is focused on how Memphis has such little regard for it's past - how it just discards things that help define who it is. Big things, like the Mall of Memphis. Millions upon millions just bulldozed away. And now, the Pippin - for $2400. Many American cities and leaders know the value of the past and work hard to incorporate its legacy into the mainstream of today. Apparently lacking any vision at all, our city leaders continue to treat the treasures of yesterday as if they are worthless. In doing so, they define the legacy of themselves and their administrations. Memphis isn't alone in it's sometimes inexplicable actions. Consider Bald Knob, AR. If you would like to comment or add content on this or any page of this site, take a look at the FAQ/Password link at screen left. Everyone is welcome to contribute.